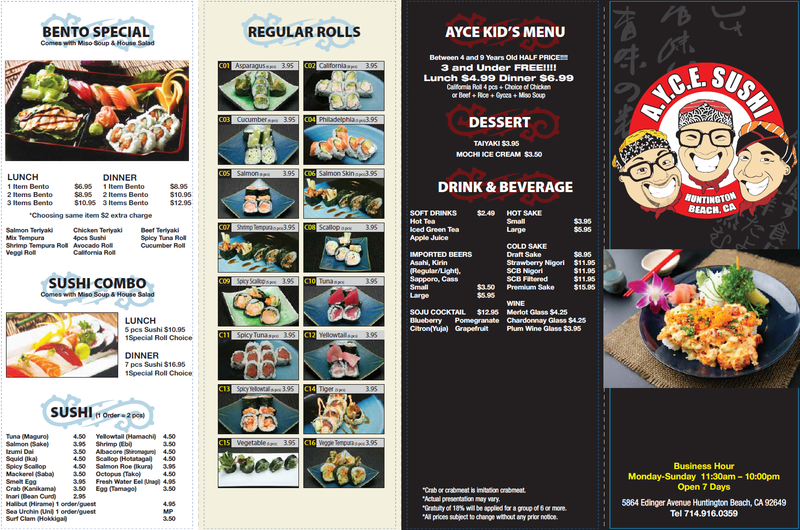 Menu - AYCE SUSHI INC. 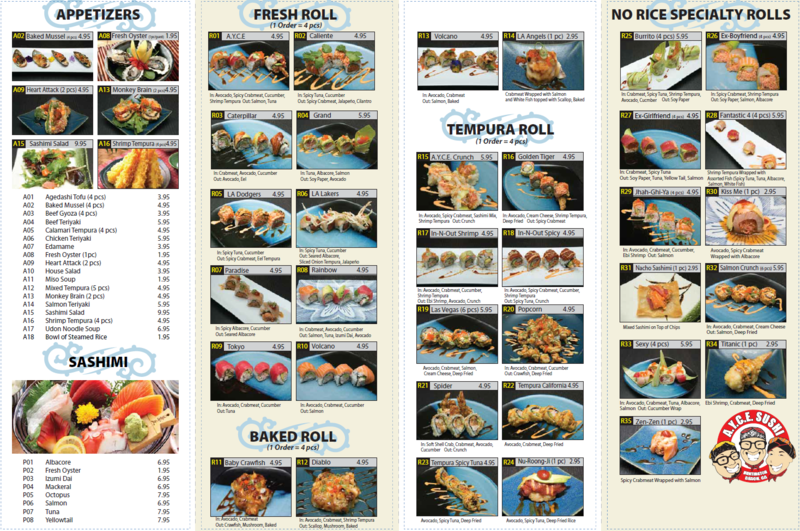 Check out the all you can eat menu. We now offer sake and beer for adults over 21 years old. Yes, we’ll card you. So bring your IDs.